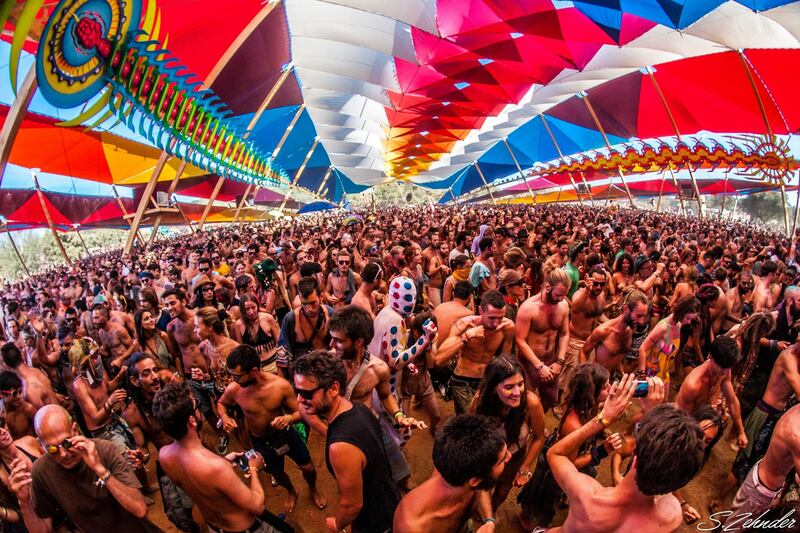 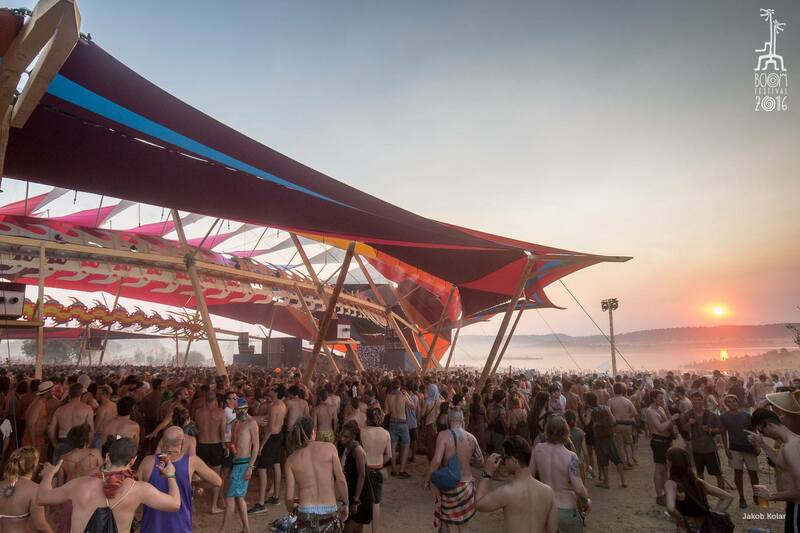 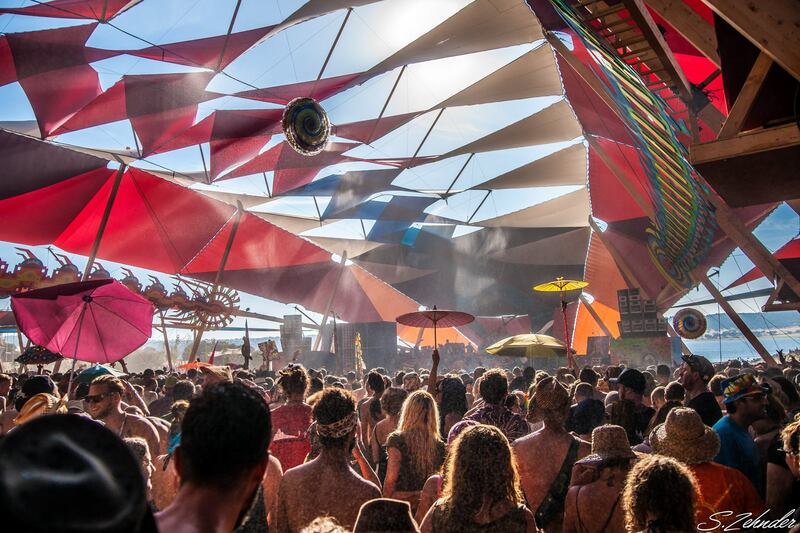 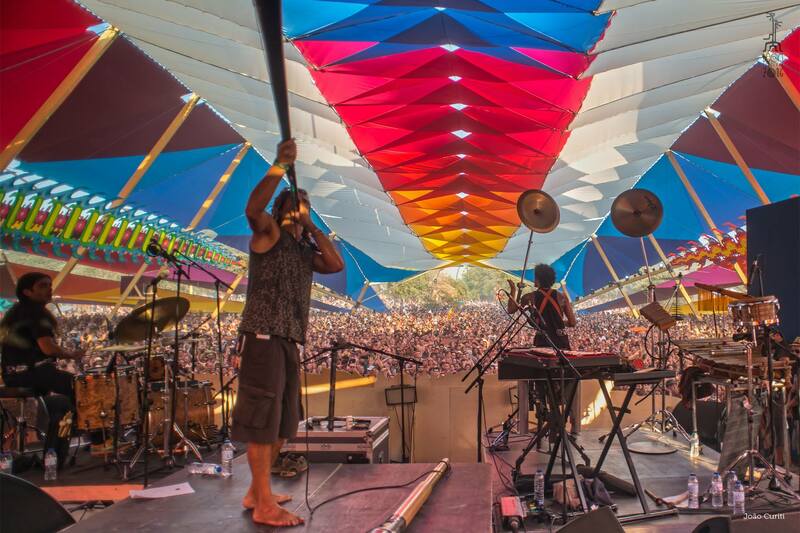 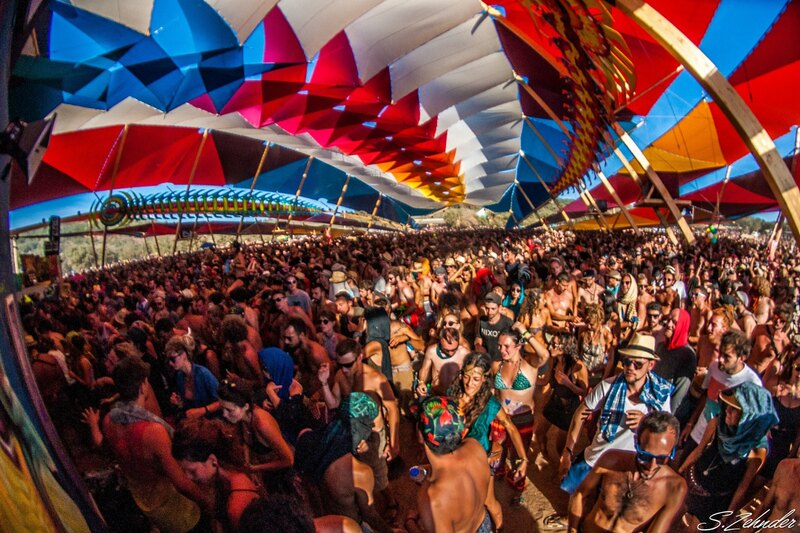 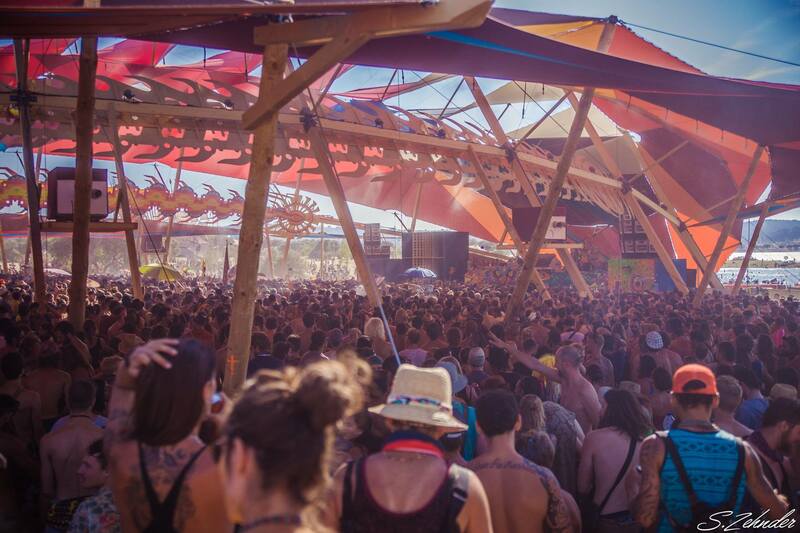 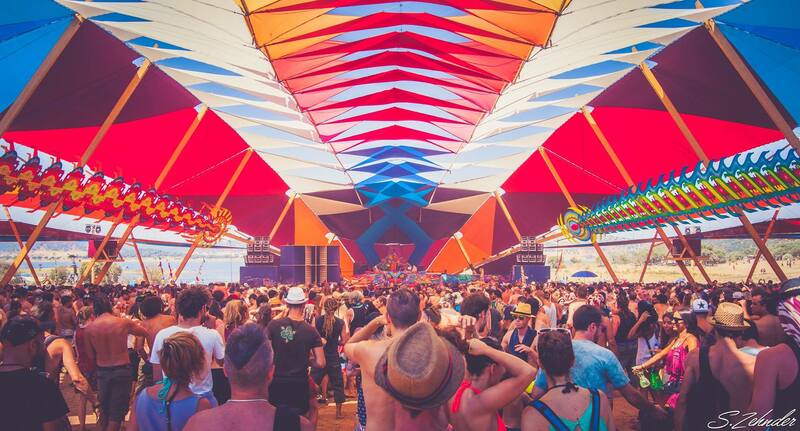 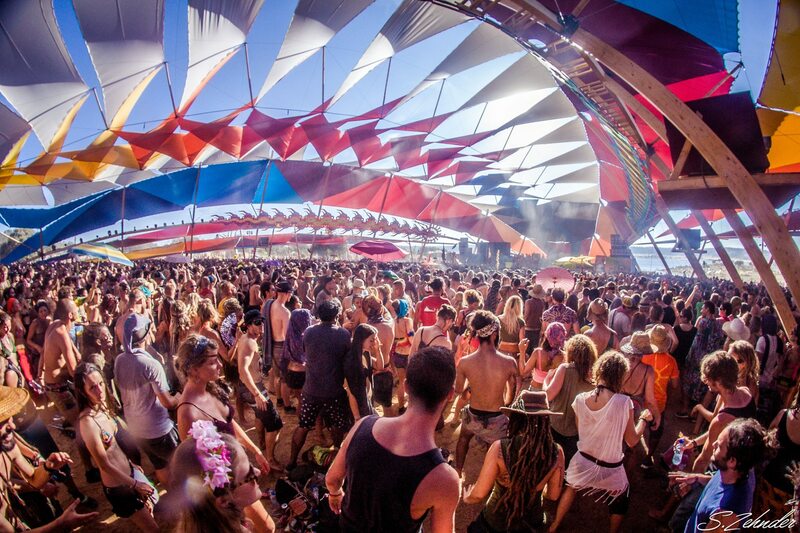 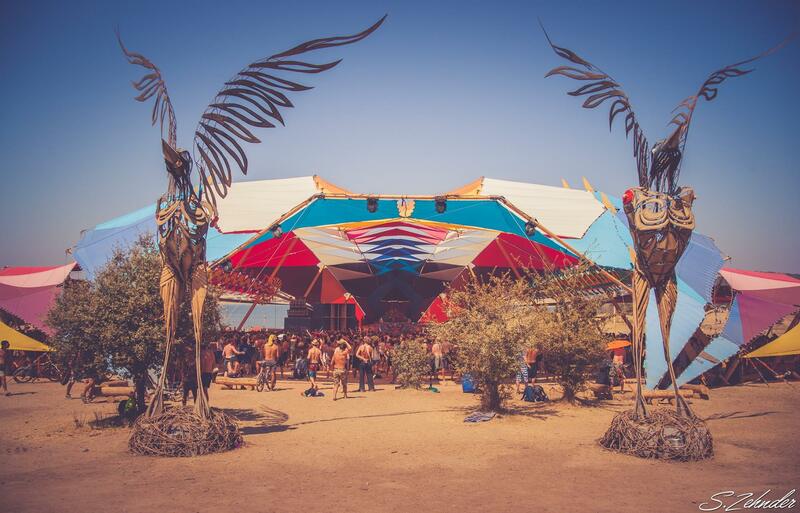 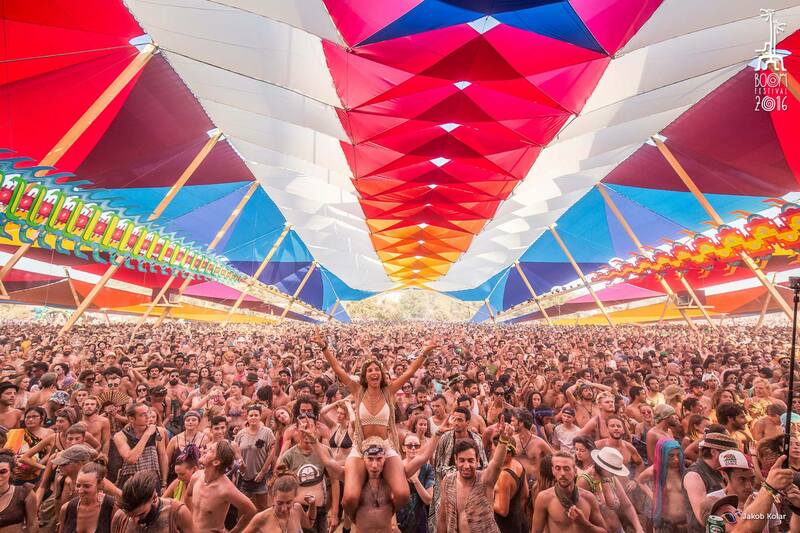 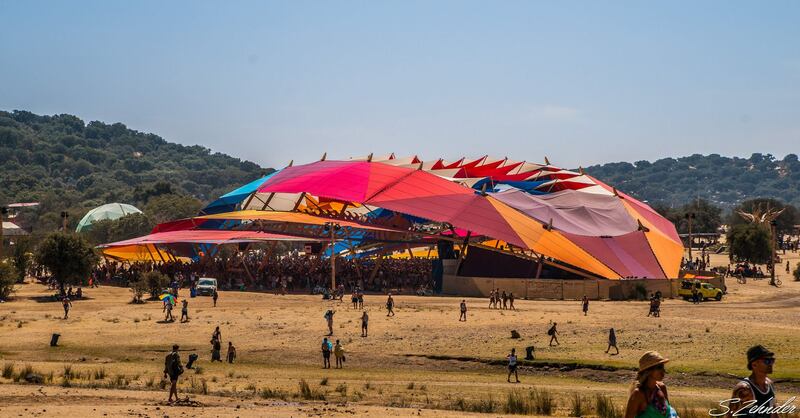 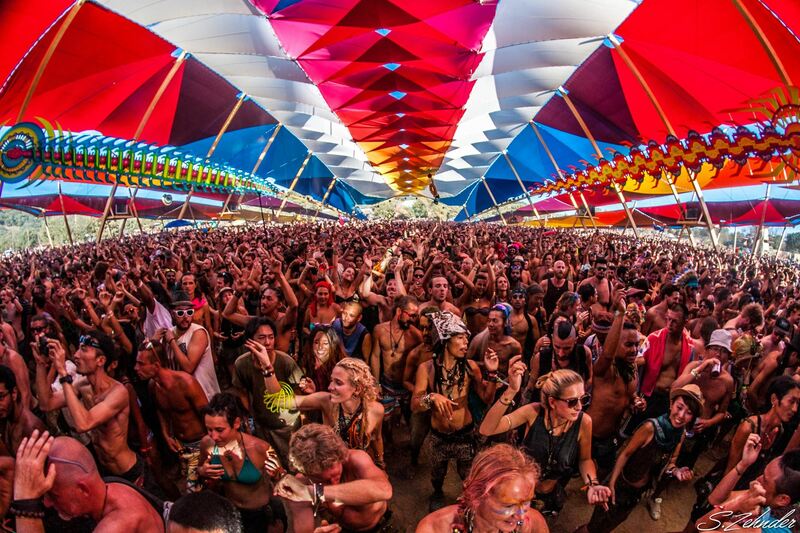 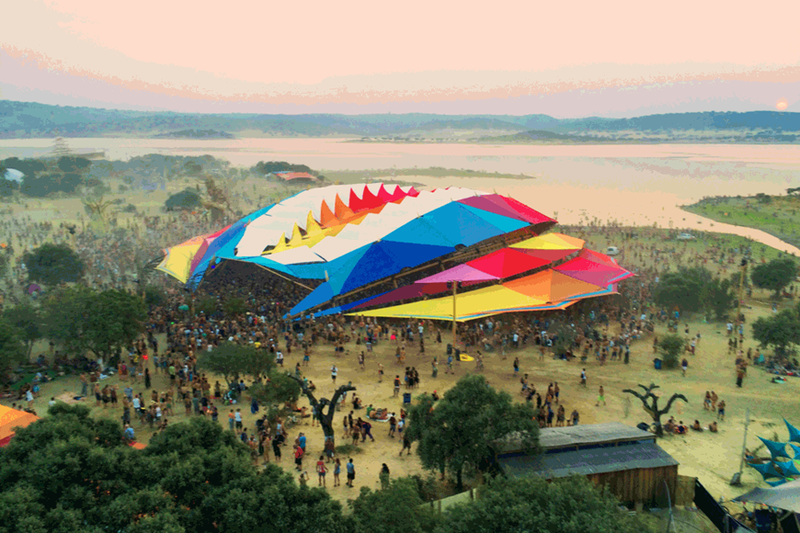 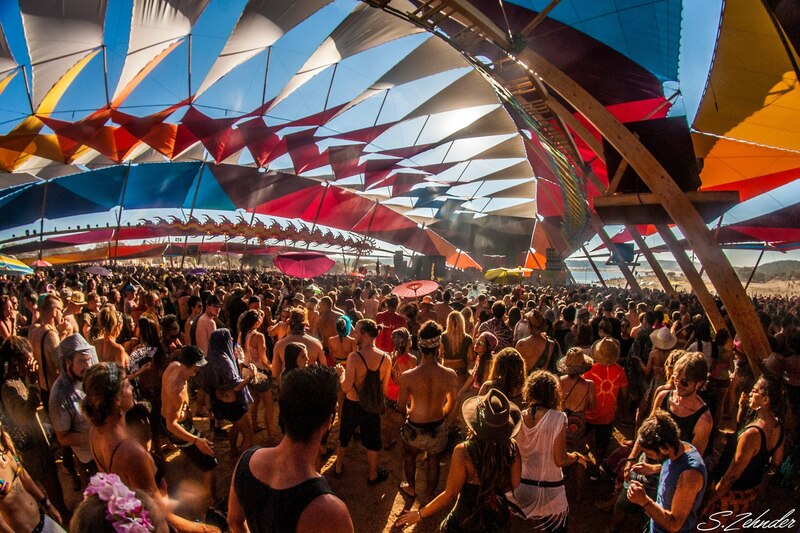 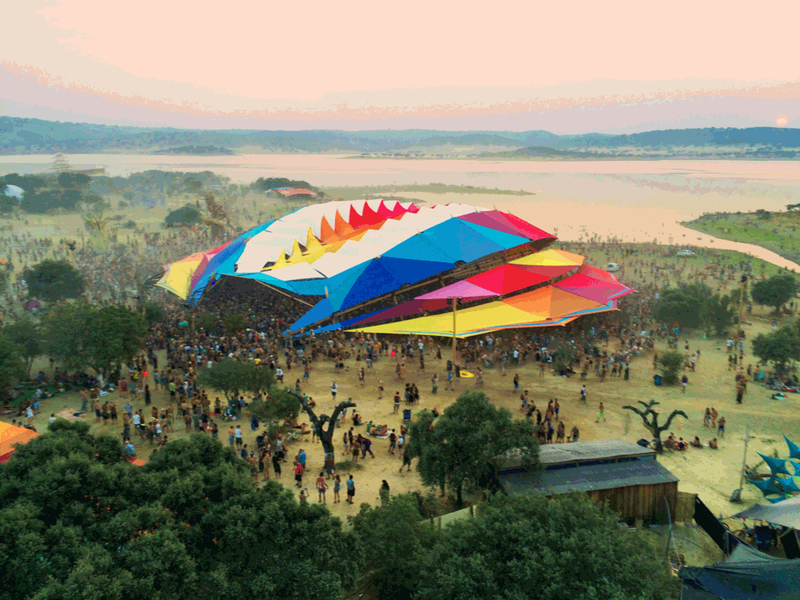 The Dance Temple at Portugal’s Boom Festival August 2016. 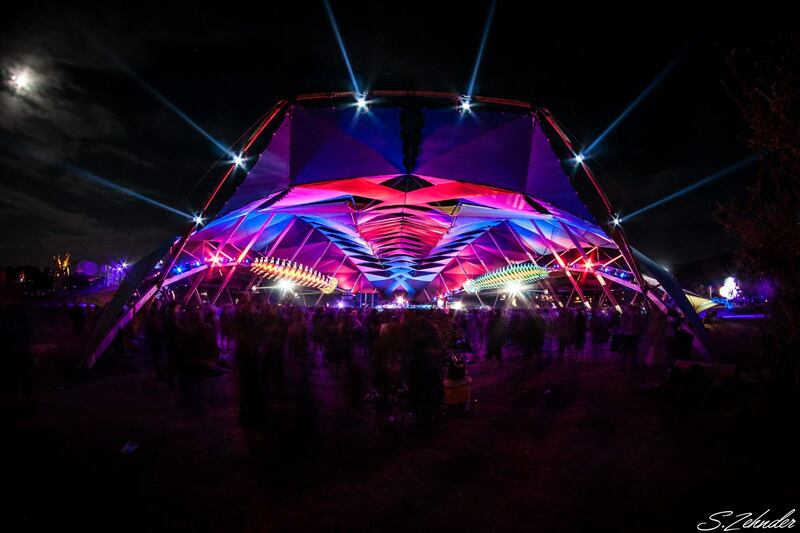 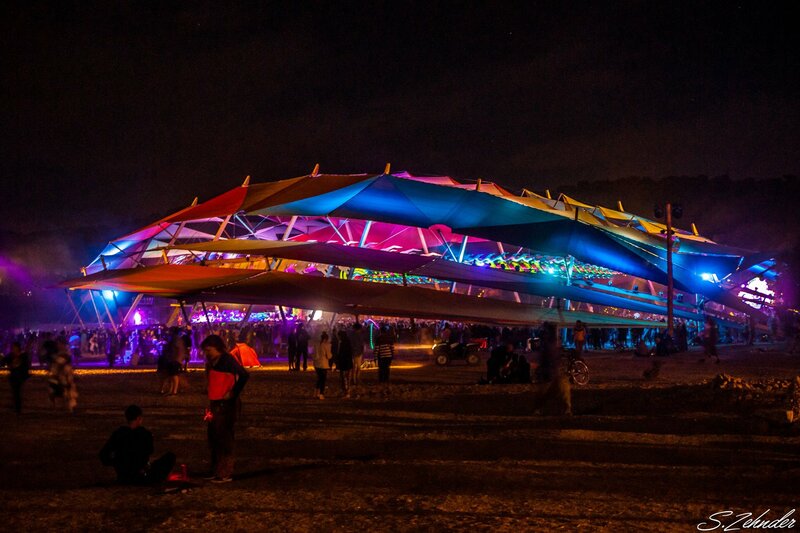 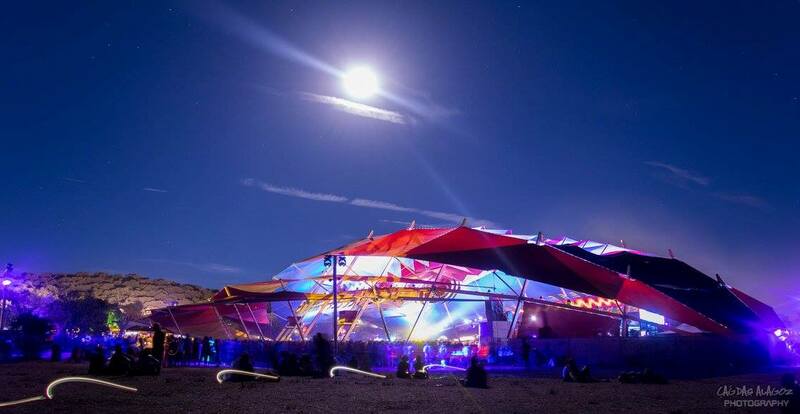 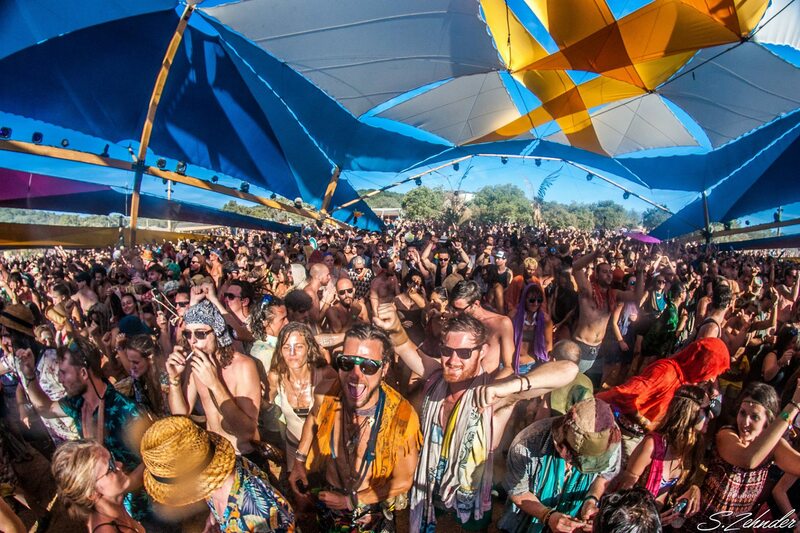 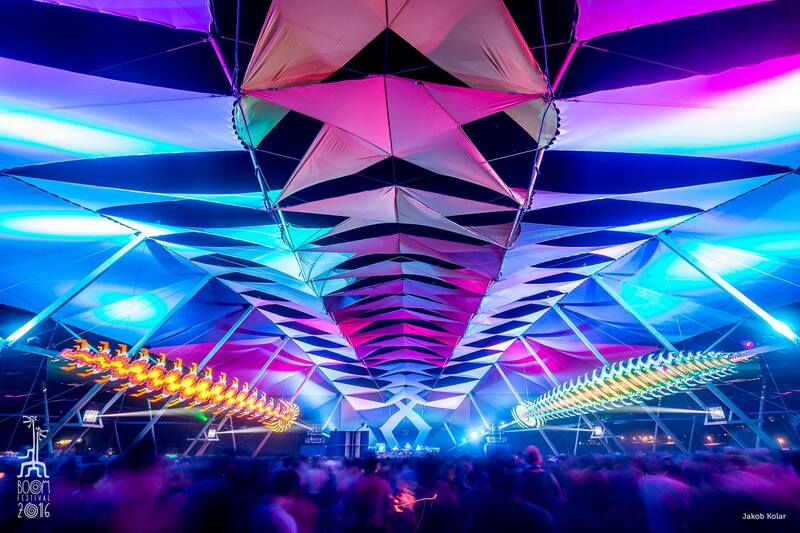 Our largest structure yet, it served as the festival’s main dance floor where patrons dance day and night for 10 days. 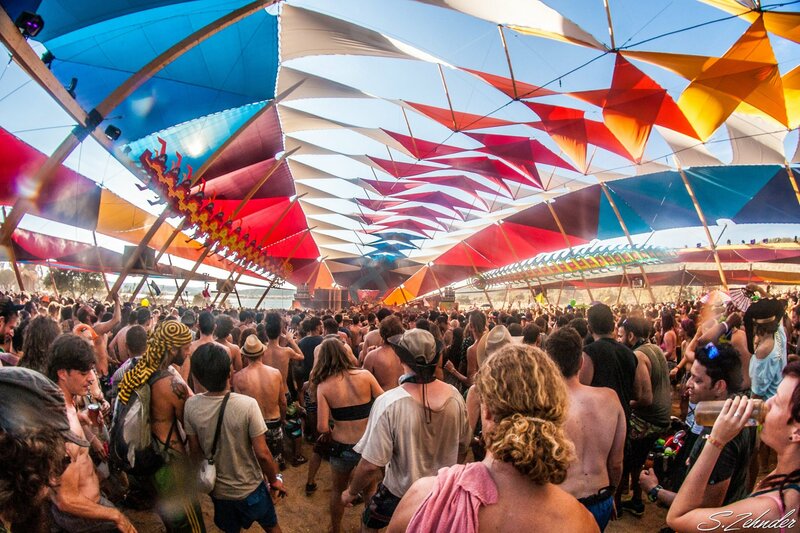 The large canopy draping above the dance floor helped keep attendees cool from the blazing summer sun. 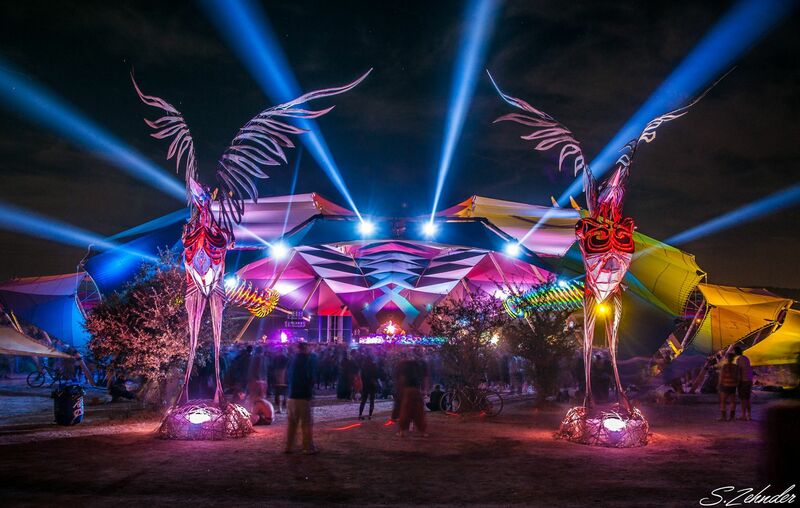 Co-designed by Josh Flemming and Heather Shaw.